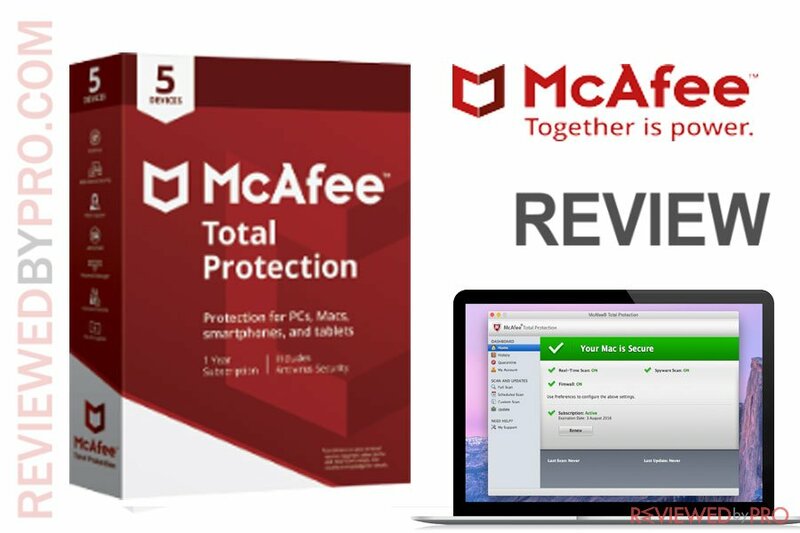 McAfee Total Protection is a premium antivirus, identity, and privacy protection software for all devices including Windows PCs, Macs, smartphones, and tablets. McAfee Total Protection is developed by a US-based cybersecurity company, headquartered in Santa Clara, California which was founded in 1987. McAfee provides users with comprehensive cybersecurity solutions for computers, endpoints, network, and clouds. McAfee is one of the world’s largest security software companies. McAfee Total Protection includes protection for all your devices across all operating systems with a single subscription. The security suite starts at $69.95 for a single device per year, $99.95 for 5 devices and $129.95 for 10 devices per year. McAfee Total Protection is compatible with Macs that run macOS X 10.11 or later versions. McAfee Total Protection for Mac applies the same scanning techniques in all McAfee products for Macs. Scans are performed passively on-demand, and users are able to schedule scans. In addition, McAfee also uses heuristic monitoring in order to detect zero-day malware. According to our small test on our Apple MacBook Pro15″ Display, Intel Core i7, 16 GB Memory, the antivirus engine did not miss a single piece of malware and demonstrated superior malware detection rates. However, the antivirus has not been tested in the most recent tests by the independent testing labs AV-TEST and AV-Comparatives. 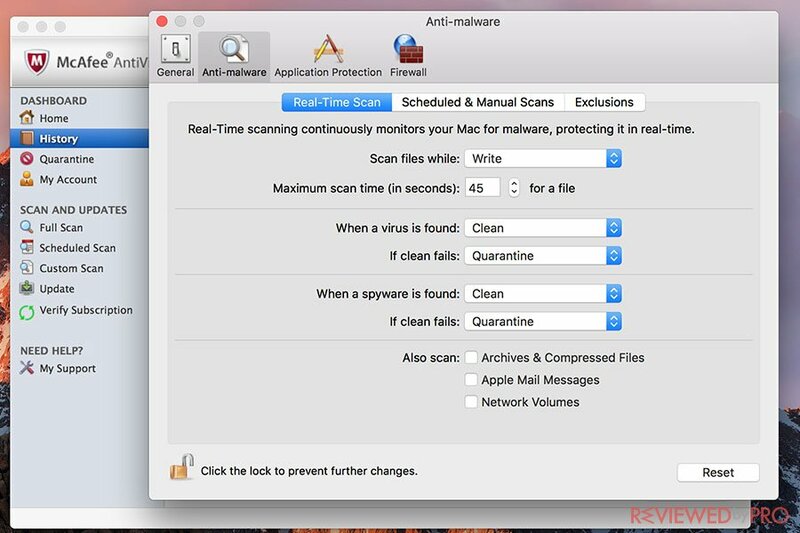 According to the most recent evaluations of McAfee Antivirus for Mac by AV-TEST in 2015, the software blocked approximately 98% of Mac-based malware. McAfee Total Protection also includes SiteAdvisor and WebAdvisor browser extensions that warn users about malicious or suspicious pages. Web Protection features also scan downloads for threats and flag risky results. 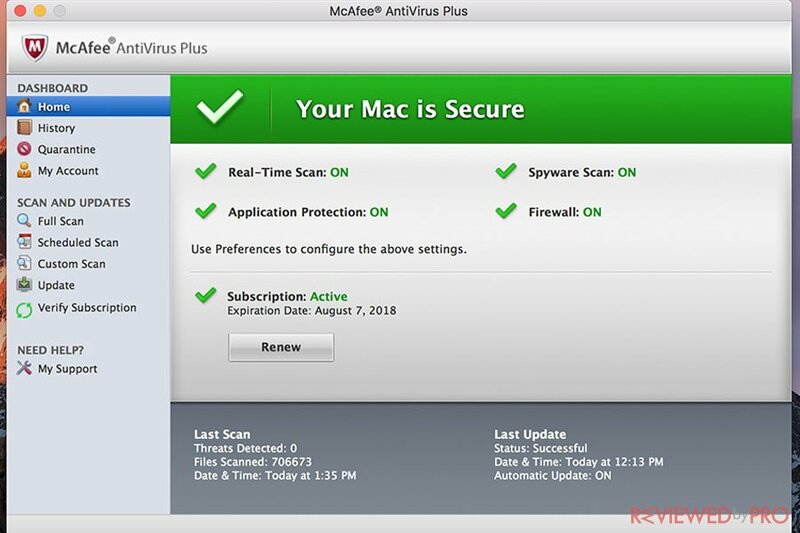 As a paid antivirus solution, McAfee Total Protection for Mac includes a decent set of additional features for Mac users, including an Award-Winning Antivirus that detects and blocks viruses, malware, ransomware, spyware, unwanted programs and even more. Safe Web Browsing warns about potentially dangerous websites, downloads and phishing attacks, Free Customer Support, Password Manager and File Lock. McAfee Total Protection for Mac has a mediocre impact on the system. The software was tested by using OpenOffice benchmark tool. The software had a passive system hit of 1.9%, while during a system scan the software impacted the system by 9.5%. The system-performance impact is average. The full McAfee scan took an average of approximately 47 minutes, which is a little bit longer than the market average which is about 35 minutes. Users can choose from full, custom and scheduled scans. McAfee Total Protection offers users Free customer support that can be contacted by phone, chat or online. McAfee’s website also includes community forums, FAQs, and other online help if you want to look for answers by yourself. McAfee Total Protection for Mac has a well-designed user interface which tries to imitate Apple’s Finder. All the features are available in the main window, so the interface is easy to use and understand. McAfee’s antivirus protection for Mac is unknown, as it was not tested by third-party independent testing labs in their most recent tests. However, the multiple devices license makes it a great choice for families. 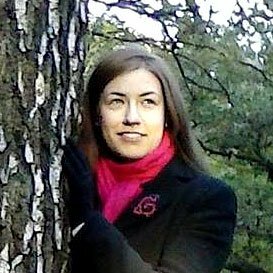 Scanning performance Scans have an average impact on the system. ^ McAfee Total Protection. McAfee. This entry was posted on 2018-06-07 at 10:11 and is filed under Security.